The expansions actually fall into two different categories. 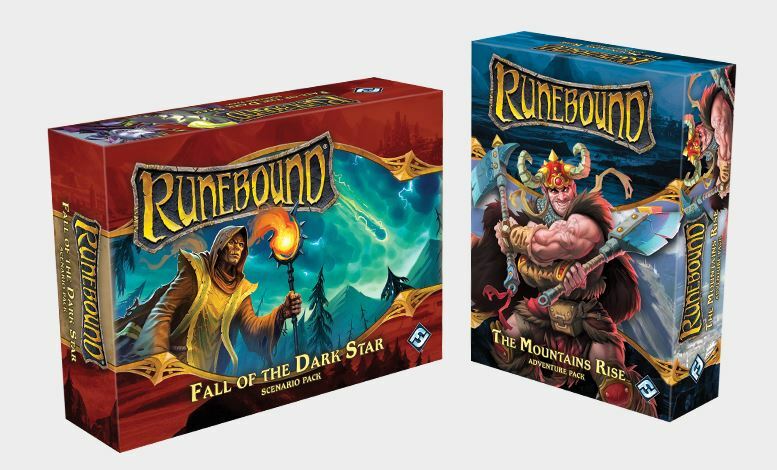 Fall of the Dark Star is a Scenario Pack while The Mountains Rise is an Adventure Pack. What's the difference? 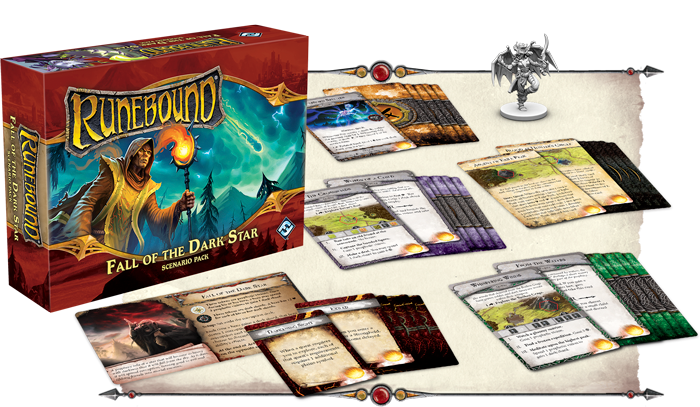 Well, Fall of the Dark Star gives you a new scenario to play in the game, complete with thirty new adventure cards and a ten card story deck. 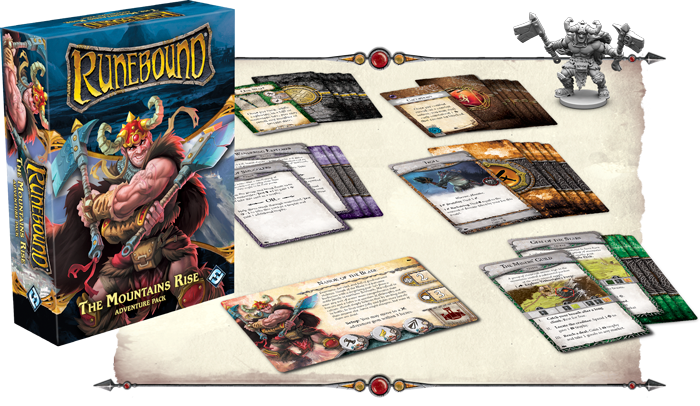 Meanwhile, The Mountains Rise is an Adventure pack that can be added to any scenario (even Fall of the Dark Star, if you want). Each expansion also brings you new combat tokens and a new hero. So there's one thing they share in common. These sets will be available in the 3rd quarter of this year.